WHERE: Stephen O’Connell Center, Gainesville, Fla.
Georgia wrapped up 2015 with a 79-67 win over Robert Morris this past Tuesday to give the Bulldogs four consecutive wins to finish non-conference play. They hope to keep that momentum going as they head to Gainesville to face Florida in the SEC opener. The Bulldogs have struggled to find success when playing Florida on the road, with their last “victory” coming in 2002, but it was later forfeited due to the NCAA infractions ruling in 2004. Georgia head coach Mark Fox realizes that the team must play better than they did against Robert Morris. In a postgame presser after the twelve point victory, Fox said, “I don’t think we played particularly well to be honest with you.” He realizes this team has a higher ceiling and can execute better, and he doesn’t mind voicing that. 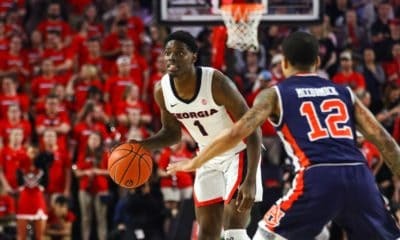 In their previous game, Georgia played like a team who was looking ahead to conference play after an extended break. 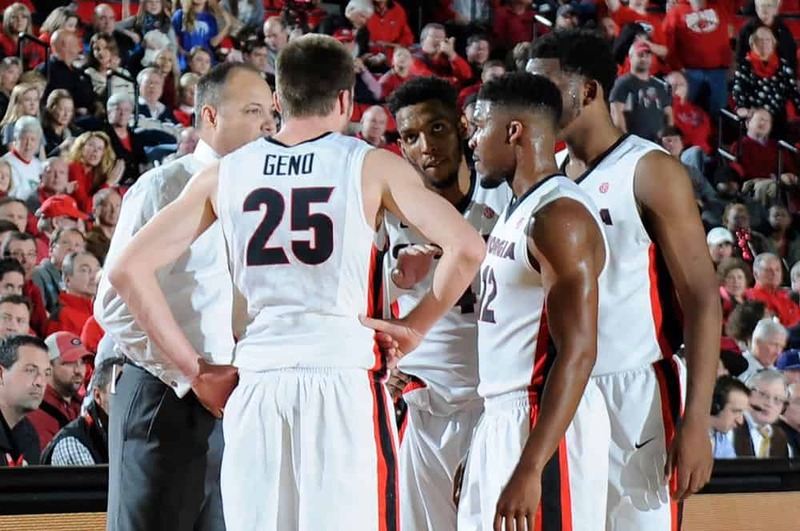 Now that conference play has arrived, look for Georgia to be focused and ready to play. UGA’s opponent, the Florida Gators, are expected to be a middle of the pack team, as many of their star players have departed. 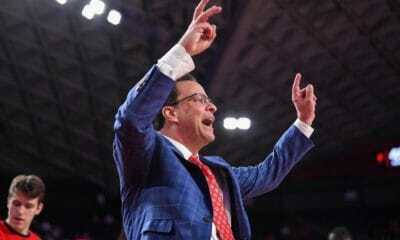 Their résumé is strong so far this season however, as their losses have been by slim margins and by NCAA Tournament bound teams — Michigan State, Purdue, Florida State, and Miami. With Georgia lacking a win from a team with such a loaded résumé, this serves as a great opportunity to inch closer to the tournament discussion. 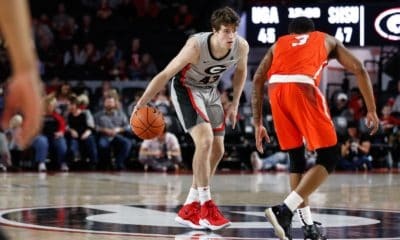 Georgia must lean on their senior leadership, as the many freshmen on this team have never encountered such a high stakes game in a hostile atmosphere such as the O’Connell Center. The talent differential between the two teams isn’t drastic, so Georgia definitely has the personnel to match up with the Gators. However, these freshmen could easily crack under pressure. 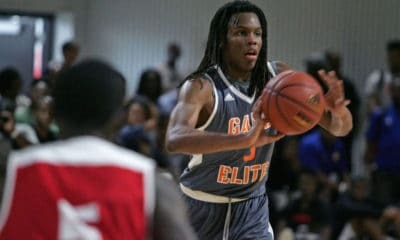 Former Georgia forward Marcus Thornton said, “They just have to handle pressure and the crowd.” He went on to say that this team has a different dynamic due to the lack of experience at some positions, but possesses more depth which could lead them to success as the season progresses. It is certainly interesting to get the perspective from a former star player who has never won in Gainesville and knows how difficult of a place it is to play in. It should be Mark Fox, Kenny Gaines, and Charles Mann’s primary focus to get Georgia to settle in and play their game, despite the atmosphere which could lead to poor execution and the team getting rattled. When placed in pressure situations, Georgia’s offense has been dismantled and turnover prone in the past. In order to come away with the win, their offense must remain balanced as it has throughout this winning streak. As many keys to victory will begin with senior guards Mann and Gaines, the same is true here. Now that it is conference play, look for them to prioritize performance and lead the team. We have seen a great deal of inconsistency for Georgia, and it must stop as the Bulldogs will now face some top-tier competition. Lastly, Georgia must capitalize down low. In their previous contest against Robert Morris, there were numerous opportunities where they couldn’t finish at the basket. This begins with Georgia’s young big men, Yante Maten and Derek Ogbeide. They have an advantage down low, as Florida doesn’t possess the same size as Georgia. Capitalizing on “gimme” opportunities will be vital to victory tonight. Florida is led by senior Dorian-Finney Smith, but otherwise the Gators are loaded with young talent. Defensively, along with Finney-Smith, Georgia must key in on freshman guard KeVaughn Allen, who had a night to remember last time out, putting up 32 points in their narrow loss to Florida State. Look for Kenny Gaines to be all over Allen, and use his defensive prowess to shut him down. Down low, Florida’s match for Yante Maten is sophomore center John Egbunu. Averaging 10.9 PPG and 6.6 RPG, he is the Gators anchor down low and will have to play exceptionally to create an advantage over Georgia’s size. This is Georgia’s first real test and first opportunity to put up a legitimate win this season. Florida does possess talent, arguably more than Georgia. However, we have seen how Georgia can execute and come out on top any given night. The Bulldogs seem motivated to start out conference play with a bang. The one thing the Hoop Dawgs should look at coming into this game is, “If Florida State can win in Gainesville, so can we.” Georgia may be rattled early on, and it will take some time to get settled in. In the late stages, I feel like UGA has the advantage in coaching, which will lead them to victory. Mark Fox has been through many tough SEC contests, and new Florida head coach Mike White is entering his first rodeo. Kenny Gaines, Charles Mann, Yante Maten and other role players will put up a show by fighting to the end, and DawgNation will have a team they can start to believe in. Georgia gets past the stumper that is the O’Connell Center and kicks 2016 off with a bang.